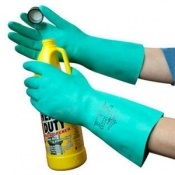 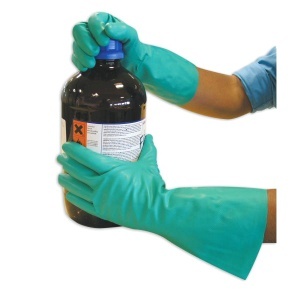 The Polyco Matrix Nitri-Chem Chemical Resistant Gloves is a reusable nitrile safety glove which performs well against a wide range of chemicals. 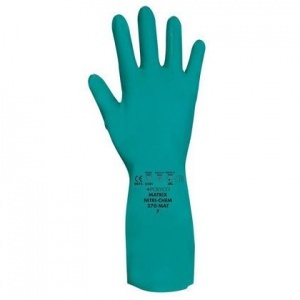 Anatomically shaped for comfort, the Nitri-Chem is made of synthetic rubber and contains no latex protein thus eliminating protein sensitisation for sensitive skin. 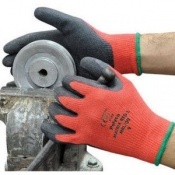 The Polyco Matrix Nitri-Chem Chemical Resistant Gloves offers good abrasion resistance and has a diamond pattern on the palm ensuring a good grip in both wet and dry conditions. 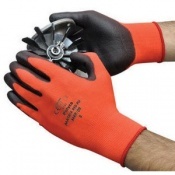 The soft flock lining of this safety glove absorbs perspiration keeping the hands cool and eases donning. 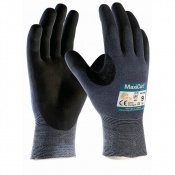 The product code for these gloves is 27-MAT. 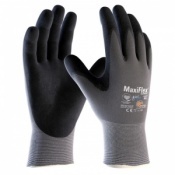 Offers good abrasion resistance as well as protection against a wide range of chemicals. 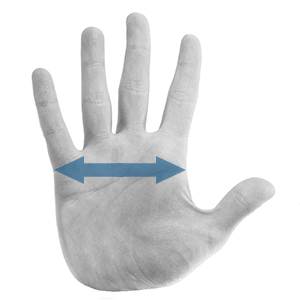 An innovative diamond grip pattern offers enhanced grip in wet and dry conditions. 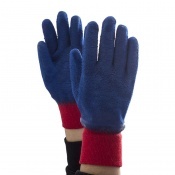 The soft cotton flock lining absorbs perspiration and keeps hands cool and comfortable.